These Value Pre-Cut Mats are great for school art shows, or for temporary matting of prints and drawings. Each mat is cut from high-quality, lightweight white pebble board. 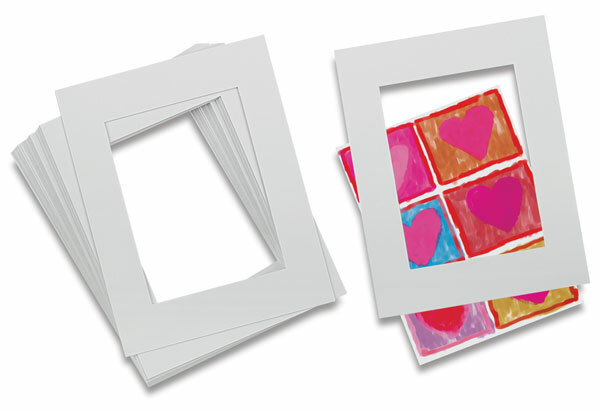 The inside beveled edge has been die-cut and scored, allowing you to bend the border inward or, if desired, simply bend the border to the back, color it with a marker or paint, and return it to the front for a double mat effect. Backing sheets are not included.